Join MARCH 3rd 2-4pm Stephanie Miller to explore the myofascial meridians & learn some easy self massage techniques to release fascial adhesions in the body. Each one of us has connective tissue known as fascia throughout our entire body. Throughout our lives this connective tissue can become tight, inflamed and even become inflicted with scar tissue build up in areas effected by trauma. This over time can even cause restrictions of blood flow to the surrounding muscles. We will discuss the benefits of Myofascial release and how regular massage and exercise can help with issues in the connective tissues. There are also very specific patterns in the body caused by stressors which can over time affect our posture & how we move. This workshop will examine the anatomy of myofascial meridians & teach specific movements we can do to help prevent & correct chronic tension patterns within the body. Stephanie Miller is both a yoga instructor & licensed massage therapist practicing here at Prana Hot Yoga & Bodywork. Stephanie turned to yoga in 2002 after a serious car accident as a way to help manage her chronic pain. Using yoga as therapeutic exercise was so effective that she became inspired to enroll at the University of Texas to study kinesiology (the study of human movement) and exercise physiology. During that time, she became a yoga instructor and began teaching classes at the university. It was there that she earned her nickname ‘that yoga chick’. After she graduated, she decided to become a massage therapist. As a therapist, she specializes in myofascial release and other various modalities to help her clients manage chronic pain. 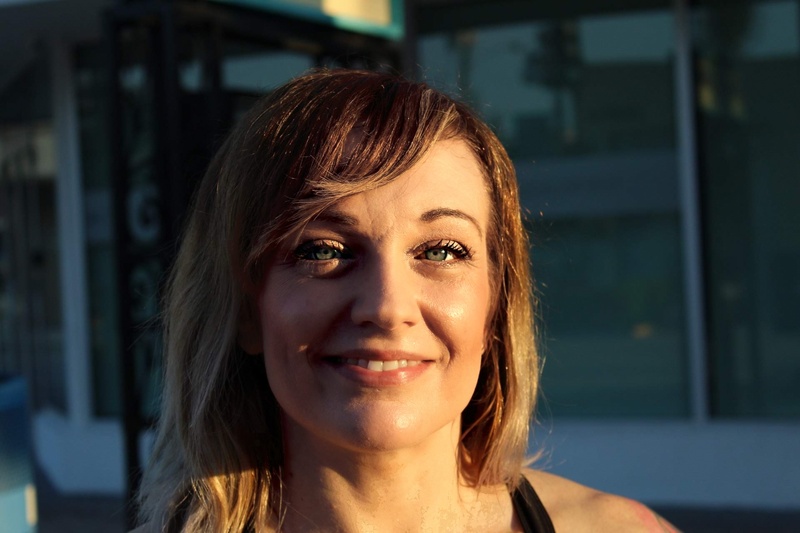 As a yogi, Stephanie has completed advanced trainings under Sadie Nardini in core strength vinyasa, which uses cutting edge anatomy using knowledge of myofascial meridians to generate body awareness and more effectively improve alignment & stability while releasing chronic tension patterns within the body. She offers her own unique brand of movement therapy on the mat integrating these fundamentals into a therapeutic & effective practice for students of all levels to enjoy.